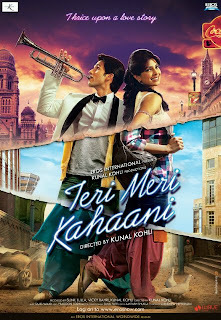 Kunal Kohli has finally unveiled the much awaited poster of the film Teri Meri Kahaani starring Shahid Kapoor and Priyanka Chopra. The trailer of the film was also released last week and since then it has been a talk amongst the fans for the sizzling chemistry that the ex-bollywood couple Shahid and Priyanka share in the film. 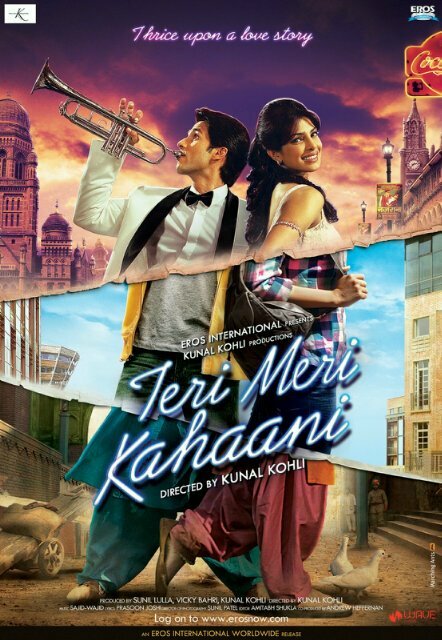 timeless love story’, the film depicts the three eras of love stories from 1910 to 2012 and the poster very clearly showcases Shahid and Priyanka’s look in the three eras. The film will also feature Neha Sharma and Prachi Desai. According to the sources, Neha will be playing the role of Shahid’s love of 2011 in which she plays an urban contemporary modern girl with grey shades to her character. She is very excited about her role in the film. The trailer of the film has already set the expectations high. There has been some real good work done in making the poster in which both Shahid and Priyanka are looking wonderful. The sizzling chemistry of the two has been liked by the audience in the film Kaminey earlier. The film is expected to hit theatres in the month of June.